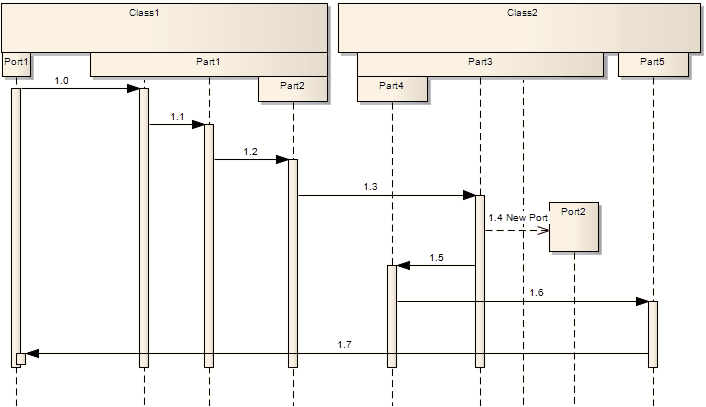 On a Sequence diagram it is possible to represent existing child Part and Port elements, which render as inline sequence elements under their parent Class sequence element. Right-click on the Sequence elements containing the child Ports or Parts, and select 'Structural Elements'. Select the checkbox against each Part or Port to show, and click on the Close button.